When mini blinds are not useful as window covering anymore, they often are tossed in the trash. But why toss an old mini blind if parts of it can be useful in the garden or can be useful during holidays. Recycle and reuse old mini blind slats to make garden labels for plants and to make tags for gifts. Making a new life for old mini blinds helps you to label your plants and gifts and helps the planet by limiting the amount of items we toss in the trash. Plastic or metal window blinds make great flower garden labels. Remove the blind from its mounting following the manufacturer's instructions. Set the blind flat on a table. Cut the cords that run through the slats just below the head rail with a pair of scissors. Remove the cords by pulling the ends of the cord out from the last slat. 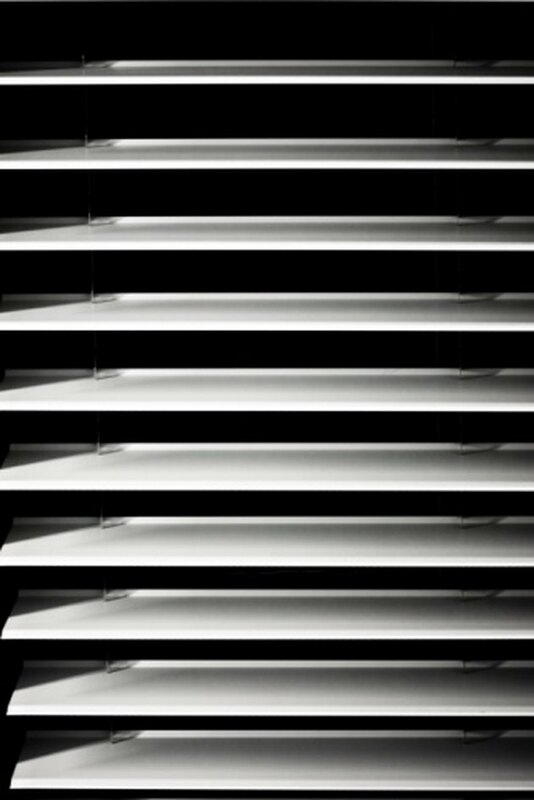 Set the slats aside. Disassemble the head rail with a screwdriver to remove the metal components. Send the head rail plastic and last slat to a recycling facility that recycles plastics. Send the metal head rail components to a recycling facility that recycles metals. Gather up the slats by stacking them in groups of 4 to 8. Wrap each stack around the center with masking tape to hold them together. Measure your slats and place a mark at every 4 inches. Try to measure out from the holes in the slats if your slats have holes in them. Cut each blind stack with a pair of scissors at each 4-inch mark. Stack 4 to 8 of the 4-inch labels and wrap the stack around the middle with masking tape. Draw a line across the slat 2 inches up from the bottom. Cut a "V" shape into the bottom of the label up to the 2 inch line to make the staking part of your label. Continue with the rest of the stacks if more labels are needed. Remove the masking tape from the stacks. Write on your garden labels with a permanent marker. Push the stake section of the label in to the ground to label the plants in your garden. 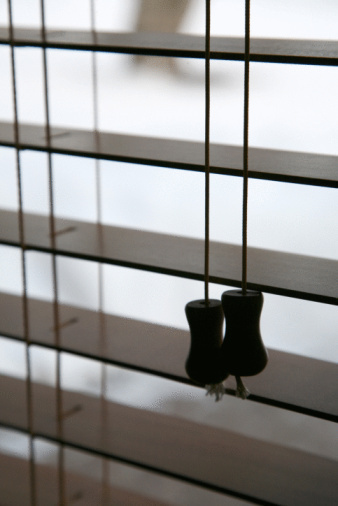 Remove the slats from the mini blind by cutting the cord that runs through the slats with a pair of scissors. Cut the slats to a size that is larger than the stamp press. Set a slat down on the table and place the stamp press over top of it. Press down on the stamp press to punch out the gift tag. Write the person's name on the gift tag in permanent marker and affix the tag to a gift using tape.